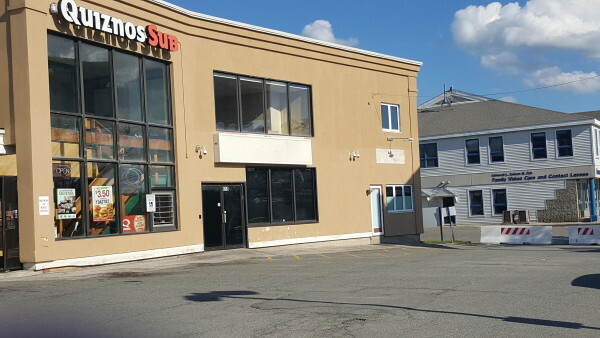 Penobscot County Metro Treatment Center (right of Quiznos), located in the Maine Square Mall in Bangor, applied to increase its capacity from 300 to 500 patients. Bangor is home to three methadone treatment centers, licensed to have up to 1,500 patients total. 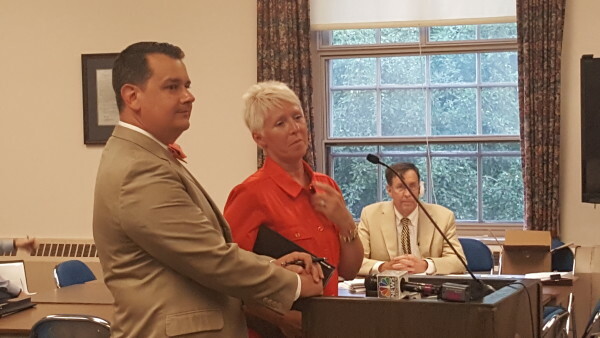 James Harrison, regional director of Colonial Management Group, and Lisa Davis, program director of Penobscot County Metro Treatment Center, address the council during a public hearing on a proposed expansion of methadone treatment during a recent meeting. BANGOR, Maine — Bangor’s City Council shot down a methadone clinic expansion bid Monday night that had sparked a contentious community debate about the city’s role in addiction treatment. Penobscot Metro Treatment Center on Hogan Road wanted to increase its patient cap from 300 to 500. It had the required state approvals, but needed the local OK. The council voted 7-2 to deny Penobscot Metro’s application. Bangor is home to three methadone treatment centers, licensed to have up to 1,500 patients total. That’s more than any other community in the state, and as many as three southern Maine communities combined. There is no methadone clinic north of Bangor. Those facts prompted a lot of pointed questions from Bangor councilors about why Colonial Management Group, which operates Penobscot Metro as well as clinics across the country, wasn’t pushing to open a new clinic or clinics to serve patients in other parts of the state. Treatment might be more successful if closer to home, they argued. Colonial Management officials countered that opening a smaller clinic elsewhere would be cost-prohibitive, and that an expansion of treatment in Bangor could be done quickly and start helping people in the region in weeks rather than months or years. Under city ordinance, consideration of a methadone clinic expansion must focus on a few main questions: Is the property adequate? Can it hire and retain staff? Is there a demonstrated need for services? Are the services provided where they’re needed? Councilors Gibran Graham and Sarah Nichols cast “yes” votes, arguing that Penobscot Metro and Colonial Metro had adequately addressed these questions and proven there was a need for expanded service in Bangor. The seven other councilors indicated they felt that burden wasn’t met. The council’s questioning and criticisms of the proposal before Monday’s meeting frequently reached beyond the questions of the application’s merit. Councilor Ben Sprague criticized the amount of counseling required by the clinic — one hour each month. However, the state sets that minimum, and most clinics, including Penobscot Metro, offer additional counseling hours in groups and in private to any patients who want it. Also, each patient starts their treatment with a minimum of four hours of counseling per month. 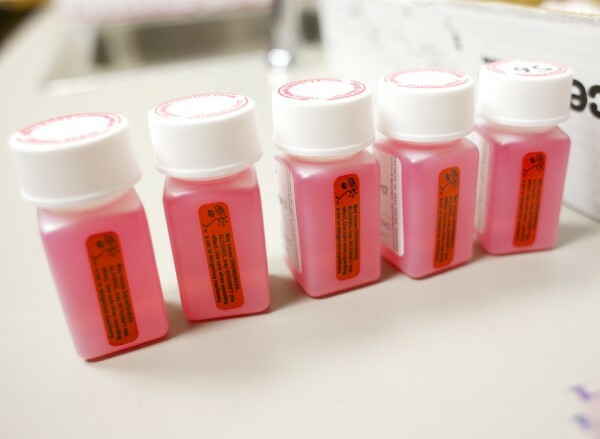 Other councilors questioned the effectiveness of methadone, though national research has shown many benefits to methadone over other forms of treatment, especially in instances of severe addiction. The council also used these debates to criticize state policies that restrict where methadone can be administered, as well as Colonial Management for not pursuing a treatment center in other communities in the region. “Penobscot County is a big county, it’s not just Bangor,” Councilor Joe Baldacci argued. Members of the public who spoke against the expansion proposal Monday railed against medication-assisted treatment, argued it just replaces one drug with another. Opponents included recovering addicts from CityReach in Bangor, an organization that operates on a model of abstinence and faith-based addiction recovery. Cara Oleksyk told the council she was prescribed methadone during the early stages of her recovery from opioid addiction a decade ago. The treatments stabilized her, preventing her urges to find illicit drugs and allowing her to focus on counseling and improving aspects of her life that would help her with long-term recovery. Oleksyk, and addiction specialists, point out that no one model of recovery works for every individual. Addiction experts say people are more likely to enter treatment if it’s available when they most need it — when they hit rock bottom. If the individual has to wait too long, or if a treatment center doesn’t have any openings, they’re more likely to stop trying to get help and to continue abusing drugs. John Doyle, a Preti-Flaherty law firm attorney representing Colonial Management, said he would speak with his clients about whether they would like to pursue an appeal or some other action. The lawyers have said they believe Bangor’s ordinance regulating methadone expansion is discriminatory against people suffering from drug addictions and the methadone clinics that treat them under the Americans With Disabilities Act.